The string–diffusion systems of equations (SDSE), being formulated correctly from a physical viewpoint (see Chap. 9), are not partial differential equations (PDEs; scalar or vector ones) for which the type may be determined in the frame of the classical typing of PDEs of mathematical physics, because this typing was formed when fields of different natures were investigated mostly without taking account of their interaction. 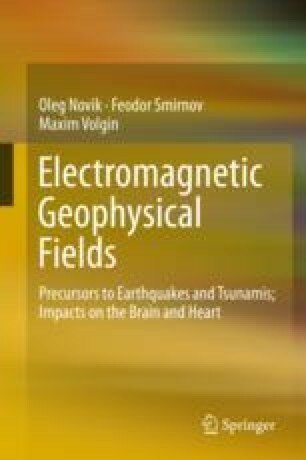 But precursors to earthquakes (one of the main subjects of this book) are generated because of interactions of physical fields of different natures. Therefore, the finite difference and Galerkin methods for initial boundary value problems of SDSE are considered in this chapter.